It’s obvious that ecommerce website should support online payments, but what payment gateways suite best for the need of your business? There are hundreds of online payment services all over the internet, so it is difficult to choose the right one. In the following post, you will find the ultimate list of the best payment gateways for modern e-commerce, but first of all we will explain how to choose a payment gateway for your online business. It’s extremely important to understand all the nuances related to online payment processing in order to get a solution which is the most suitable for your ecommerce business. Below we will give you some tips on how to choose the right payment gateway. A payment gateway approves or declines payments, while merchant account is a place where your money are held before being transferred into a bank account. There are services that provide both tools within one platform, as well as companies that offer only one solution. There are several types of payment gateways. First of all, they can be hosted. Such gateways take your customer from your website during the checkout. Non-hosted solutions provide your buyers with the ability to stay on your store while entering credit card details. In order to cover the needs of all your customers, you should offer both solutions. Every credit card payment gateway charges different amount of money for its implementation. There are 3 major types of fees: setup fees, monthly fees and transactional fees. Some payment services charge transaction fees only, while the others try to gather as much money as possible. Thus, it is important to know all the fees related to a payment gateway of your choice. Unfortunately, there are gateways without strong anti-fraud protection. Note, that such payment solutions are not secure. You should choose gateways that provide data encryption and allows CVV2 verification. Some gateways are limited to a certain payment methods. You always have to check if they provide payment methods common within your target market. Please not that every payment gateways can have a prohibited items list. If you sell products from this list, the gateway will not work on your ecommerce website. Your ecommerce platform should support the gateway you chose. Otherwise, the integration will be impossible or it will become a headache. Such features as high risk credit card processing or high risk merchant account maintenance are not provided by all gateways. If you operate in gambling, ebooks, electronic cigarettes, adult content or other risky sectors, you should check if the chosen payment service will work with you. You don’t want to spent several days waiting for your money, right? That’s why you should check the payment turnaround. Ideal gateway provides a rapid payment turnaround time, but get ready for more realistic solution. Chances are, that your customers will request chargebacks from time to time. Thus, you should be able to provide them with this opportunity. Keep in mind, that this feature must be supported by your payment gateway. Otherwise, you will get lots of unnecessary troubles. Imagine the situation, when you have a problem which should be solved immediately, but the appropriate customer support doesn’t work. This situation could lead to money loss or even spoiled reputation, so 24/7 customer service is a must. Localization is also important. Some gateways support multiple languages and currencies, while the others are limited to only one. If your business provides localization, you should offer the same conditions during the checkout. That’s why you need a payment solution which supports localization. Please note, that some ecommerce payment gateways offes limited transactions and other restrictions. Thus, they can be used within a small business only. Check if the chosen gateway is scalable – you will remove some future problems. Beware of a contract! Some companies can sign a two year contract, so you will not be able to change the gateway during this period. Pay close attention to the contract offered by the payment solution of your choice. Don’t forget to check the reputation of payment gateway providers you are going to work with. Try to find something in social networks or on forums. Now when you know how to choose the right online payment gateway, we recommend you to check the best available solutions. Each gateway provides a unique combination of features and fees, so there will certainly be one that is the most suitable for the needs of your online business. With Authorize.Net you will be able to accept payments anytime and anywhere. This virtual credit card processing service is designed for both online and retail solution. In addition, it is able to accept mobile payments and supports payments related to mail and telephone order. The supported currencies are USD, GBP, and Euro. Authorize.Net is a browser-based, hosted solution, which provides you and your customers with secure payment gateway. Fees per transaction are 2.9% + $0.3. You can set up Authorize.Net within your website for $49. Monthly fee is $25, but all additional services are free. Beanstream is a bank-neutral payment service provider. This gateway offers solutions for both e-commere and mobile. Despite it only accepts Visa and MasterCard by default, there is also a possibility to add other credit cards. Another important feature of Beanstream is the e-wallets support. This ecommerce payment gateway is extremely flexible, as it even works with third party online shopping carts. Unfortunately, it process only USD and Canadian dollars. Standard processing account fees are 2.8% + $0.30 per transaction without any monthly payments. Chargify is not just an ordinary internet payment gateway. Its a complex solution designed to retain, analyze, and manage recurring customers. 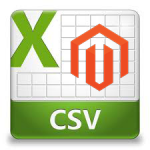 Being a highly scalable and flexible tool, it can be used within every ecommerce business. Chargify integrates with different payment gateways, so fees per transaction and supported currencies can be different. The monthly fees start at $65. This payment processing service securely connects with US banks in order to provide your e-commerce business with fast and safe account-to-account transactions. Unfortunately, it works only in the United States and provides the following restrictions: personal transactions are limited to $5,000 while business ones – to $10,000. Supported credit cards depend on the linked bank account. Dwolla works with USD only, but it charges no monthly fees. There are even no fees for transactions under $10, so it is an ideal solution for a cheap stuff retail. Fees for every transaction over $10 are $0.25. First Data is another leading provider in our list of ecommerce payment processing services. It is widely used by online merchants, financial institutions, and governments. Unlike previous solutions, First Data operates in 50+ countries. Thus, its portfolio includes a broad range of services designed especially for the needs of local markets. First Data works with 6 credit card types and supports transactions in USD only. The pricing is hidden, so you must contact First Data to get the information about fees. We don’t insist that PayPal is the best payment gateway, but it holds the position of a leading online payment service. It is one of the the safest and easiest ways to pay and get paid in the ecommerce business. 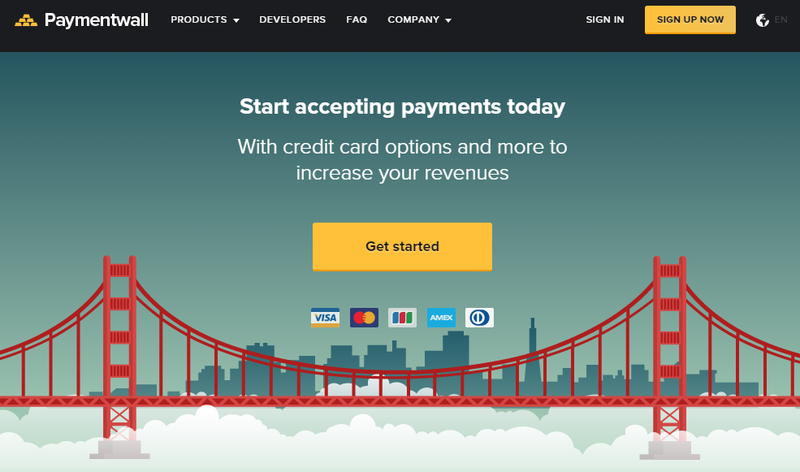 Add this gateway to your website, and your customers will be able to pay in any way they prefer: besides credit cards PayPal works with bank accounts and its own Smart Connect system. Moreover, the financial information about your customers is newer shared. 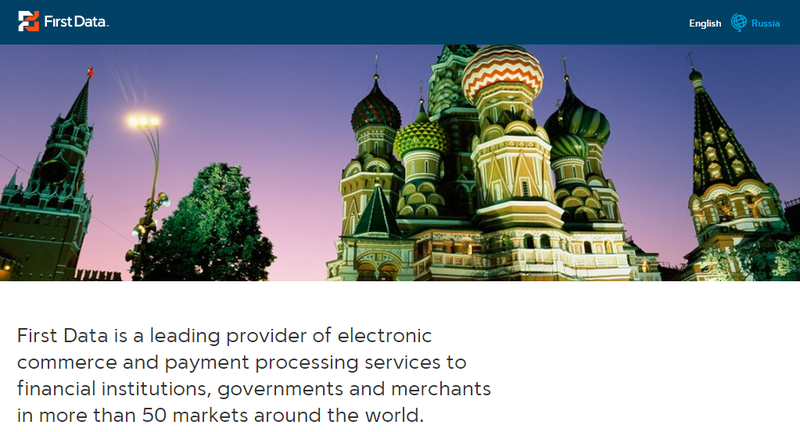 PayPal is currently available in 190 markets and supports money transfers in 24 currencies. The company offers several solutions with different fees and conditions. Hit the below link for the additional information. With Sage Pay, you will be able to accept payments online through your ecommerce website. The gateway is highly flexible, so you can easily integrate it into the existing online store. Sage Pay works with Magento, Shopify, WooCommerce and dozens other platforms. It supports transactions in 19 currencies with the help of 10 different credit cards. Monthly fees starts at £19.90 with a limitation in transactions (350 per month only). Stripe was made with the developers in mind. It provides a suite of APIs for ecommerce businesses of all possible sizes. As an online merchant you get an easy opportunity to accept payments from anyone and anywhere. 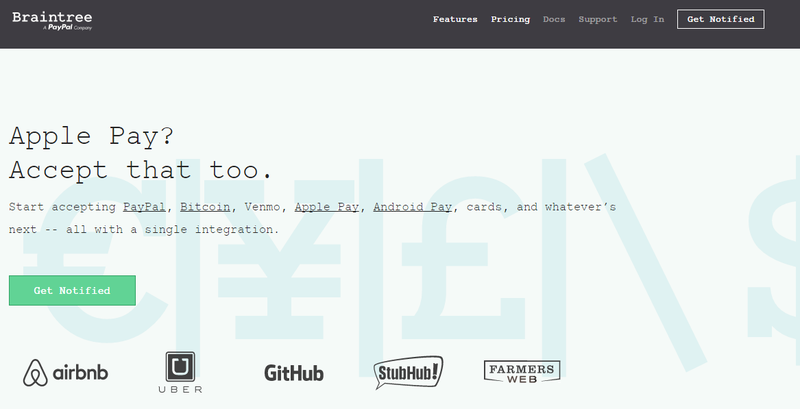 You can easily go global with Stripe, as it supports over 100 currencies (even Bitcoin). In addition, this payment gateway offers extra layers of security – you can even add a two factor authentication to your account. Stripe charges 2.9% + 30¢ for every successful transaction. There are no refund or hidden fees and monthly costs charged by this secure payment services provider. With WePay’s instant merchant account, you will be able to accept payments on your ecommerce website with ease. The payment gateway works directly on your online store, that is not the safest solution, but it very convenient for your customers. As the previous service, WePay also charges no hidden fees. The monthly use is free, the transactional fees are 2.9% + 30¢. Flagship provides all possible payment solutions for modern businesses. Besides ecommerce gateways, the company offers credit card readers, EMV/NFC terminals, and phone order solutions. In addition, Flagship provides lots of free options, such as Authorize.Net payment gateway integraion. Rates and fees are tailored to the needs of every business. 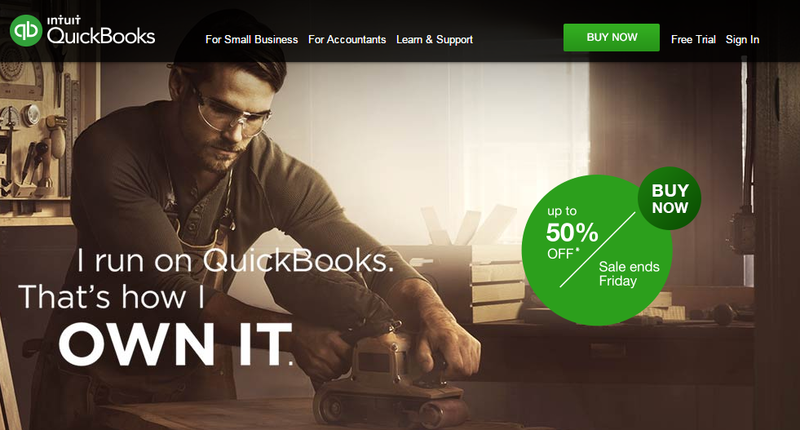 Another credit card processing business solution from our list is QuickBooks by Intuit. It’s not only a reliable payment gateway, but is a robust financial tool for your ecommerce business. QuickBooks supports email invoices and accepts both online and mobile payments. It works with such credit cards as MasterCard, Visa, Discover, and American Express. Fees starting at 50¢ per transaction or 1.75% per swipe. With GoEmerchant, you get a toolkit for integrating your business into ecommerce. The company provides a wide variety of different solution. Payment gateway, tool for phone orders, Multi-MID, POS system, plugin for QuickBooks and lots of other features can be easily added to your current business routine. GoEmerchant charges the following fees for its gateway: $49 for the setup; $14.95 per month; $0.10 per every transaction. CyberSource offers a cloud based solution for ecommerce websites designed with the security in mind. It provides the ability to accept payments across web, mobile devices, call centres, and POS sales channels. Possible payment methods include credit cards, bank transfers, digital wallets, direct debits, and some other payments. 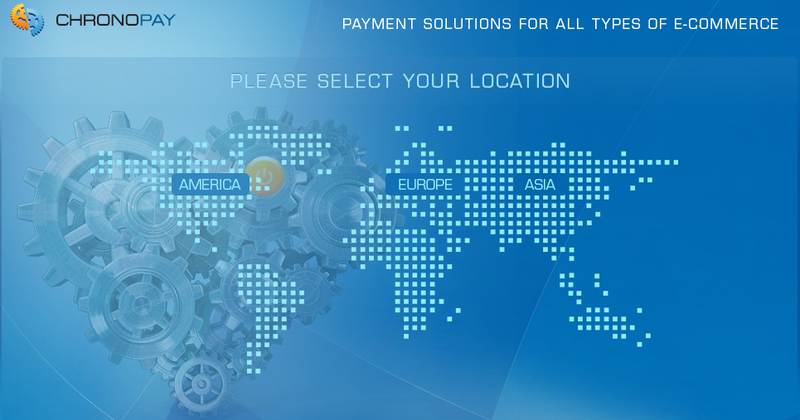 CyberSource gateway supports transactions from over 190 countries. It works with all major credit card types and ecommerce platforms. Unfortunately, there is no any information about pricing available on company’s website. E-Commerce Exchange is one of the oldest solutions in our post. 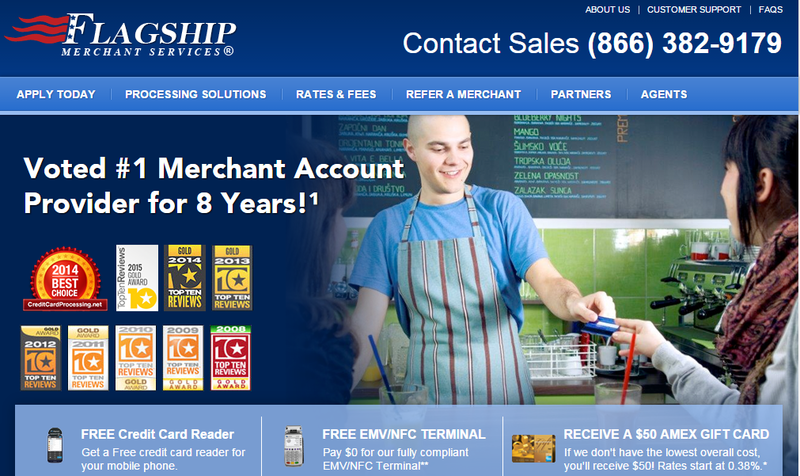 The company helps merchants accept credit card payments since 1989. Now it offers credit card processing via Internet. The rate for each transaction is 2.35% + $0.30. Hit the below link for the additional information, and please don’t be scared by the website – it is a little bit outdated. Create Chase Paymentech payment gateway merchant account and start accepting electronic debit and credit card payments with ease. The company is able to authorize transactions in more than 130 currencies. Thus, you can easily work worldwide. Payment gateway by Chase Paymentech is highly flexible, so you can easily adjust it for different businesses. Merchant account fees are not available. If you don’t want to pay any monthly fees for a gateway, then you can try MerchantPlus. This payment processing solution offers the following fees: 3.5% + $0.30 from every transaction. MerchantPlus works directly with your bank account and automates the common processes related to your financial flow, so you don’t need to withdraw money manually. 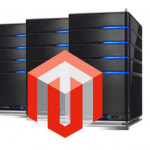 It supports 100+ ecommerce platforms, including Magento, Bigcommerce, and Shopify. Add a user-friendly and fast payment gateway to your ecommerce store with with the help of Merchant One. Being a PCI compliant solution with end-to-end encryption, it will also provide your store with relevant security. At the same time Merchant One offers a free shopping cart, robust account management, remote accessibility, 24/7 support, and works with major credit and debit cards. Talk to a representative to find out fees. This payment gateway exists since 1997. The market changed a lot during all these years, but SecurePay still offers a relevant set of product, which includes online shopping cart, SecurePay – an electronic check service, appropriate solution for accepting mobile payments, etc. Sign up at SecurePay and you will be able to get all the benefits of the platform. The gateway charges 0.25% + $0.25 per transaction. Additionally, you have to pay a single $400 fee. 2Checkout gateway accepts payments in 196 countries. It works with credit/debit cards and PayPal. This online payment gateway charges a little less than a previous one: only 2.9% + $0.30 per every successful transaction without any other fees. 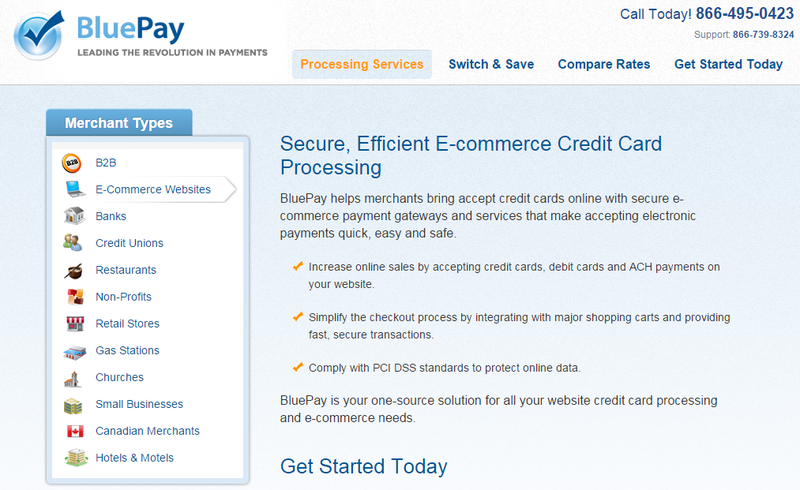 BluePay helps merchants accept credit card payments online. The solution provides extra security (at least it is written on the website) and simplifies online payments. Besides online gateway for ecommerce stores, the company provides lots of other payment accepting solutions for all possible businesses. Unfortunately, the information about pricing plans and fees is hidden. 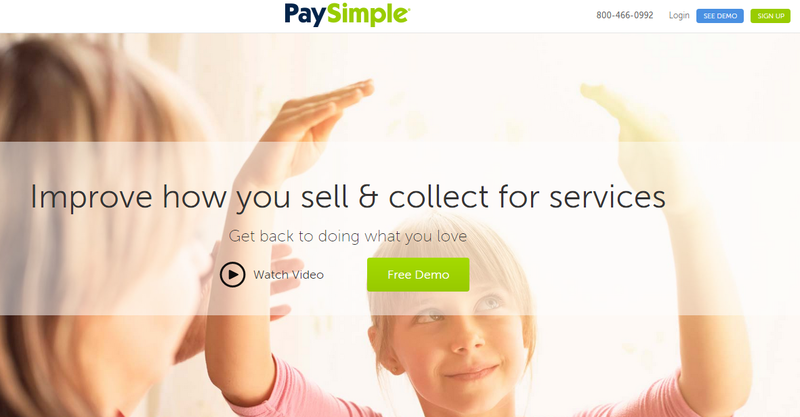 PaySimple is also among the best payment gateway service providers. It essentially simplifies billing and collection processes by automating them. Company’s solution includes features necessary for direct debit and credit card processing, auto-recurring billing, and electronic check processing. There is also a vide support for mobile devices, so you can easily accept payments on your iPhone and iPad. At the same time, PaySimple offers very low rates (check the website). 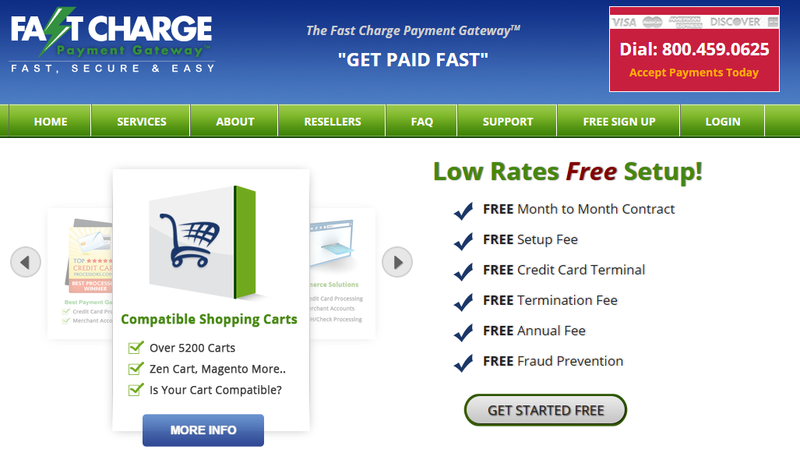 Fastcharge is a perfect payment gateway for projects with a tight budget. It provides blazing fast payment processing for $10 per month only. There are no any hidden or transactional fees. Moreover, Fastcharge is easy to setup, and you can integrate this payment solution within all possible e-commerce platforms. Unfortunately, Fastcharge works only with credit cards. Paynova is a payment service provider for European online retailers. It works within lots of countries and supports different payment methods. As a result, it doesn’t matter matter what country your customers are from and how they choose to pay. 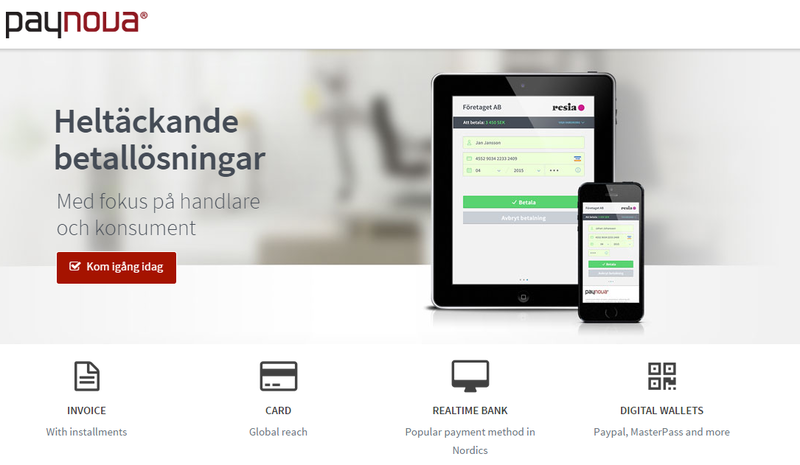 Please note that the official Paynova’s website is in Swedish. ChronoPay is suitable for all types of e-commerce. Besides credit cards, this payment gateway supports WebMoney payments. You can add it to your ecommerce website for free, but there is a monthly fee which is based on turnover. 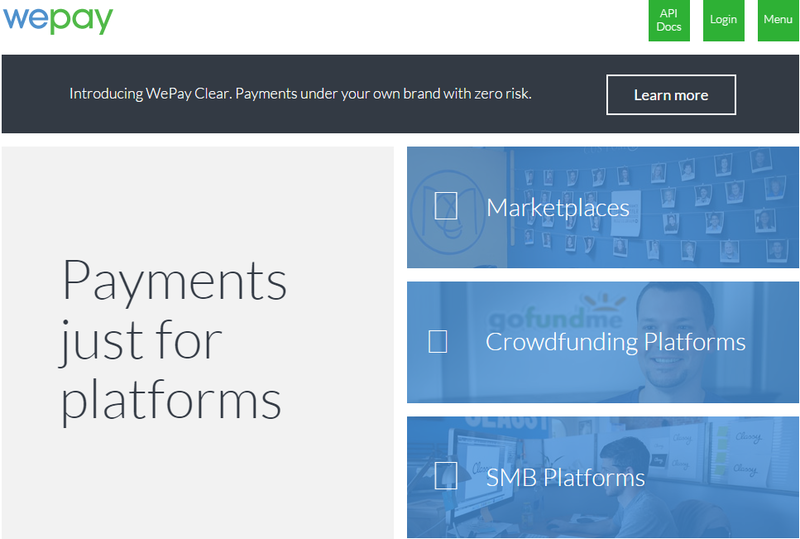 Another ambassador of credit card processing business is Leap Payments. The company offers clear monthly statements, next day funding, and lots of other benefits. Leap Payments works with all major credit cards and charges no starting fees. At the same time, you will have a monthly payment in amount of $12.95 with this ecommerce gateway. Despite Netex.me is not a gateway, it still will be useful for your e-commerce activities. The company offers seamless exchange between different virtual wallets, internet banking accounts and payment systems. The fees depend on both sides of the operation. 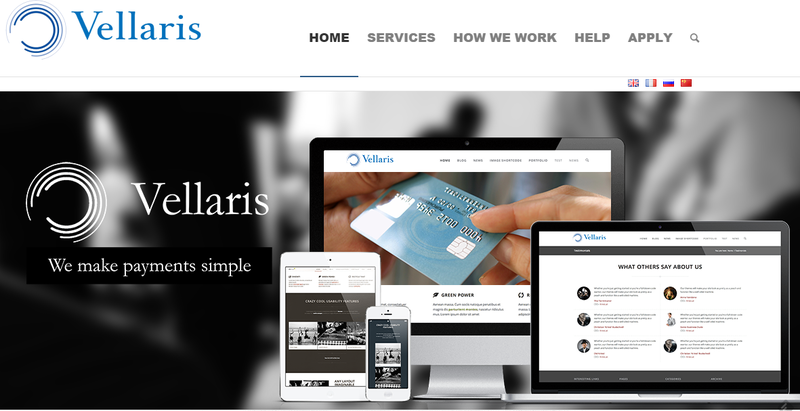 If you are looking for a payment gateway that works with banks from UK, EU, Russia, US, and Canada, than you should pay your attention to Vellaris. 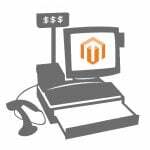 The company provides robust payment solution for all types of ecommerce businesses. It is secure (PCI DSS), offers a 99.9% uptime, and supports multiple currencies. Moreover, you can easily integrate Vellaris with almost every ecommerce platform. Note, that the company utilizes individual approach to pricing. For those who need an all-in-one solution, we recommend to pay attention to Paymentwall. 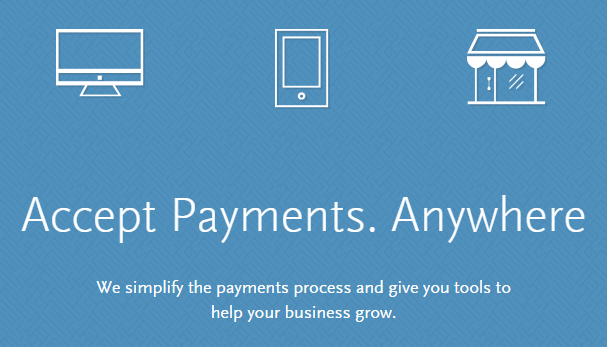 This company provides a comprehensive set of payment solutions for ecommerce businesses. Besides credit card processing and payment gateway, Paymentwall offers mobile billing platform, 100+ local payment options, Mint integration, etc. Hit the below link to get all the necessary information about the company. 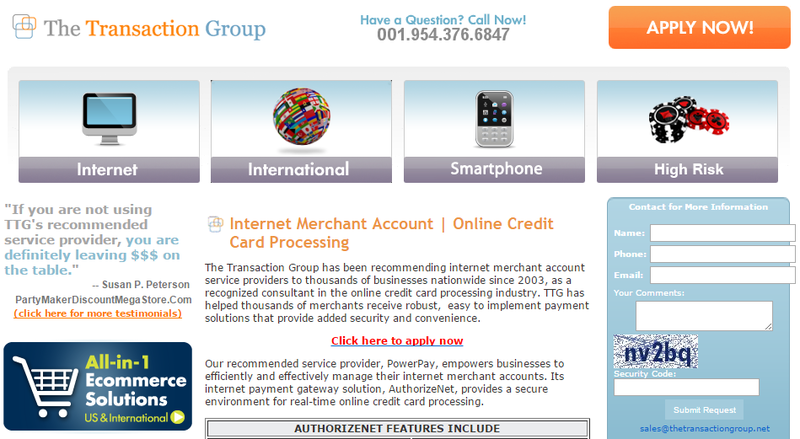 International Payment Solutions is another company with a website from nineties. In addition to online processing, the company offers lots of hardware, so it can be ideal solution for those businesses which operate both online and offline. Provide your customers with the ability to make a purchase within a single touch. You just have to integrate Braintree with your ecommerce website. This online payment solution works in 40+ countries, supports 130 currencies, and is available in 6 languages – the perfect combination for international merchants. Braintree charges 2.9% + $0.30 per every transaction. There are no any minimum, monthly or other hidden fees. Skrill is one of the most complicated solutions in our list. It provides services for both businesses and individuals. The service requires only email address and password in order to receive payments. As an ecommerce merchant, you can get a Skrill Card for convenient money withdrawal. Hit the below link to get the information on fees. 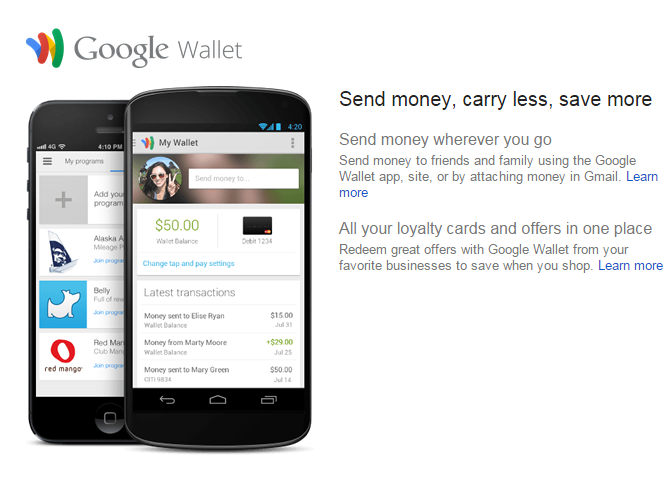 You can even use Google Wallet to receive commercial transactions. The service has lots of limits, but it can be ideal solution for small businesses, as it doesn’t charge any fees.We recommend you to check the official website for more detailed information. You can also send money for free with Ribbon. Just share the URL of your Ribbon profile. A 3% fee is charged from credit card transactions. Moreover, you can send payments with the help of this system even to those users who are not registered within the platform. PayTabs is another reliable payment gateway. It provides a proper security level and all the necessary features. You can easily integrate PayTabs into your ecommerce store within just 24 hours. The company offers 2 pricing plans: basic one charges 3.33% from every transaction, but you get a free signup; premium plan charges 2.99% + $0.50 from every transaction and $530 for signup. If you don’t want to create a merchant account we recommend you to check MonsterPay gateway. With this free online payment solution, you will be able to sell online, saving on monthly banking fees and additional transaction fees. MonsterPay adds secure EFT payments and a free credit card processing to your existing online store. Please note, that there are fees for South African Rand within the system. CCNow offers a secure shopping cart with a support of 25 currencies. There are also a free billing support and optional open source shopping cart. The platform utilizes emails in order to request payments from auction buyers. In addition you get tools for product inventory management. A signup fee is $39.95, transactional fee is 4.9% + $0.40. 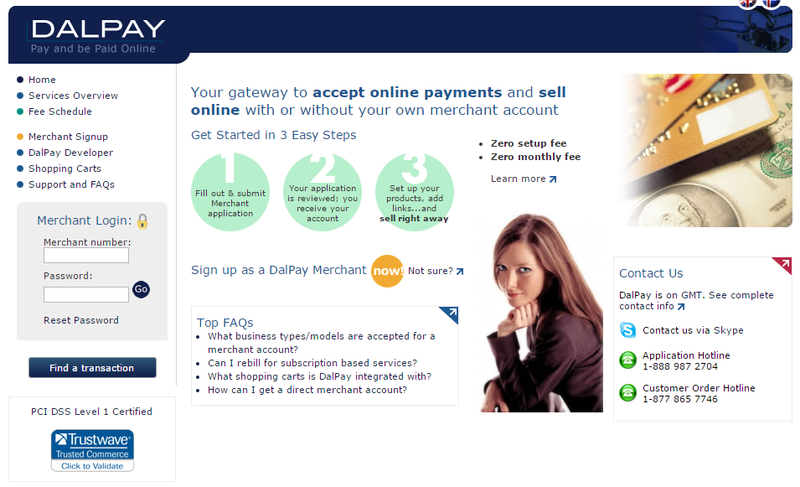 Dalpay is another solution which doesn’t require any merchant accounts for accepting online payments and selling online. Please note, that it charges lots of different fees. For the direct merchant account type there is a $300 setup fee, $20 monthly fee, and 2.3% + $0.30 per transaction. As you might have guess, this payment gateways offers ACH processing in addition to website credit card processing. There are also a QuickBooks integration, PoS for computers, virtual terminal and other useful services provided by ACH Payments. check the below link for the full company’s portfolio and fees. What payment gateway do you use? Why did you choose it for your business? Do you have any additional advices on how to choose the right gateway? Please leave your comments below. Don’t be indifferent to the community. You will improve this post and help other merchants make the right decision.